Next Meeting: July 22, 2014, Webinar: “Genealogy Evidence and Online Family Trees” by Karen Clifford | Southington Genealogical Society Inc.
Is it possible for two people to do the same genealogical research and find different answers? It is! Disagreement of the evidence can be confusing and cause problems. Learn to properly use the tools of online family trees to sort the evidence that supports your genealogical assertions. On Tuesday, July 22, 2014 the Southington Genealogical Society’s will present a webinar, Genealogy Evidence and Online Family Trees by Karen Clifford with permission from Legacy Family Tree Webinars. The webinar was originally presented on April 16, 2014. The meeting will be held at The Orchards at Southington in their second floor community room at 7:30 pm. There is no admission charge and no obligation to become a member. No reservations are necessary. The facility is handicapped accessible with an elevator. Karen Clifford is develops and teaches online genealogy courses at colleges in California and Utah. She is an Accredited Genealogist® Professional and a Fellow of the Utah Genealogical Association. She has been President/CEO of Genealogy Research Associates, Incorporated since 1997. Her years of professional research work lead to authoring college textbooks and do-it-yourself guidebooks covering both traditional and electronic genealogy research including several books: Becoming an Accredited Genealogist, The Complete Beginners Guide to Genealogy, the Internet, and Your Genealogy Computer Program. 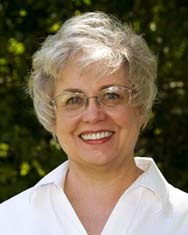 She was the founding President of the Monterey County Genealogy Society, a Director of the Monterey California Family History Center, President of the Utah Genealogical Association, a Vice President of the Federation of Genealogical Societies, and a Vice Chair of the International Commission for the Accreditation of Professional Genealogist (ICAPGen) where she continues to oversee Test Development and Test Quality Control. This entry was posted in 2014 Meetings by southingtongenealogicalsociety. Bookmark the permalink.